The internationalization of ten of China’s English-language scientific journals is analyzed based on their Impact Factor, Total Citation, JCR list rank, international paper proportion and international citation proportion. Six of these journals were financed three times by the National Natural Science Foundation of China (NNSF) between 2001–2006 and four journals maintained a higher impact factor (>1.0) in 2003–2005. The data show that though the total trend of Impact Factor and Total Citation keeps rising, their subject rank has shown a slight decrease. 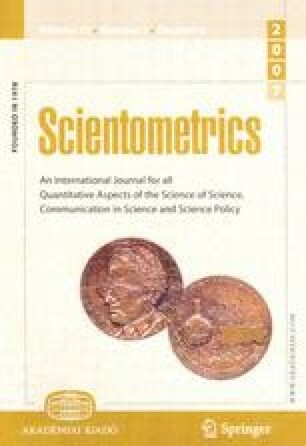 Moreover, the proportion of international papers and international citations do not match their JCR rank and IF: high rank journals have a low proportion of international papers (Chinese Phys Lett, Chinese Phys) and low rank journals have a high Impact Factor (Cell Res, Asian J Androl). This inconsistency may result from their insufficient internationalization either in international paper proportion (less than 20%) or in the amount of high-quality manuscripts, probably caused by their local journal title, circulation and low IF. Suggested means of improving internationalization include encouraging Chinese scientists to cite more home journals when they publish their papers in foreign journals; soliciting the submission of international co-authorships based on the unavailability of pure foreign authorship; cooperating with internationally recognized publishers to utilize their globalization platform; employing overseas scientists to recruit international papers; improving writing style and content, to enable greater accessibility to worldwide readers.